Everything needs an outcome and this is it. We are on the cusp of another change in the industry. The large operators are severely challenged by both budget and boutiques. The blanket approach is not pulling in people any more as the end user is tired of mass produced concepts and can afford to be more selective and daring in their exercise choices. They can run for free in the park and pay up to £20 for hot yoga, join a cross fit box, exercise on line – ultimately they have so much more choice. This is good news for us as we can pick up and run with any and all changes. I think so many instructors are tired of paying out and getting low renumeration. Please know – there is always a better way. So this year I joined up with CIMSPA – why? They are a chartered institute and to be honest my dad was always a member of his CI as an engineer and my brother as a metallurgist, I wanted to be a member of an organisation that endorses my qualifications and skill level. Is it worth it? Interestingly enough this year I have asked CIMSPA for support and an objective opinion in a situation where I could not be anything other than subjective and personal. They were everything I could ask for and supported my issue. They have made steps to improve my professional standards and they have sat down with me to discuss future plans. I can ask for no more than that. At last. I have made the bold move to change awarding bodies and now provide Focus Awards Qualifications. This allows me to update quickly and often so that I can provide training that work in the here and now. Our level 4 yoga diploma and level 3 children’s yoga are a direct result of this switch and would not have been possible previously. So many more changes to come in 2019. 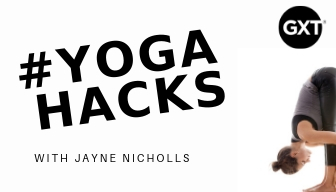 I have joined forces with Virgin Active, providing yoga teacher training for their group and developed my own brands that are growing in popularity due to investment in my online platform. I encourage you all to tell your story. When you share your history, your hopes and your intentions to a wider audience there is so much more chance of positive change. Rachel and I continue to machinate behind the scenes and if even 1 of our plans comes to fruition, next year will be great. Know that you are all in the forefront of our plans. Whatever we do, we share with you, this has been a constant for over 20 years. If you need anything – you know where I am – see you tomorrow.